AFLW Squads from Hunter Academy and Central Coast Academy took part in an AFL Derby last week; with rivalry strong between the closely located Hunter and Central Coast teams, the game provided great opportunity for athletes to show passion and skill – with Hunter Academy taking the title of derby winners on the day. It is the first time the AFLW program has been run through the Regional Academies of Sport. The program has not only consisted of the Derby against Central Coast but have included a variety of education to help build well-rounded athletes and individuals. The athletes in the Hunter Academy AFLW squad have been involved and exposed to strength and conditioning testing, sport psychology education, nutrition information, video analysis for performance, training sessions, and inter-academy games. 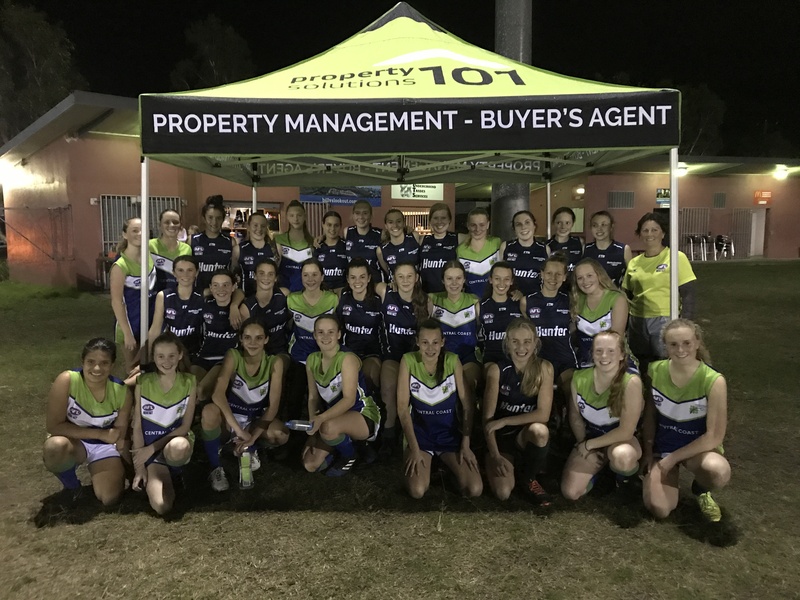 The AFLW squad also participated at the Your Local Club Academy Games in April this year with nine other Regional Academies where the Hunter Academy finished on top of their pool. The Academy Games also acted as a selection competition for the U16’s State Team, of which two Hunter and two Central Coast athletes were selected. The program is aimed at providing recognition and motivation to identify emerging athletes and in its first year running has delivered positive and promising outcomes. The Hunter Academy of Sport would like to thank the ongoing support from AFL NSW/ACT and our local sponsor 101 Property Solutions.